Different finance departments want different financial solutions. Some may simply require financial reporting while, at the other end of the spectrum, some will want a comprehensive performance management solution. 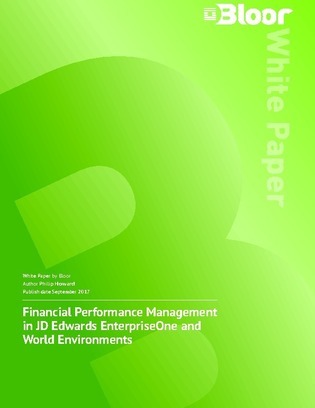 A wide variety of tools and solutions are available to address various aspects of both financial reporting and enterprise performance management, and for many organizations this will be a journey, moving through reporting, analysis, and planning, all of which need to be based on real-time data. In this paper, explore comparisons on different approaches to these choices that are available for different ERP environments.